According to a new study,Inhaled steroids increase the risk of Nontuberculous Mycobacteria Infections risk opposing the popular assumption that steroid inhalers are safe and beneficial for Asthma control. NTM are in the same family as tuberculosis, but NTM come in many different species and are widely dispersed in the environment. Although they cannot be spread from person to person, NTM are difficult to treat and can cause serious illness, and even death. In “Association between Inhaled Corticosteroid Use and Pulmonary Nontuberculous Mycobacterial Infection,” Stephen J. Ruoss, MD, and co-authors analyzed the medical records of 549 patients diagnosed with NTM lung infections in Northern California over a 10-year period. Because inhaled steroids appear to depress the immune system, they may contribute to the risk of respiratory infections, including NTM infections, the authors wrote. 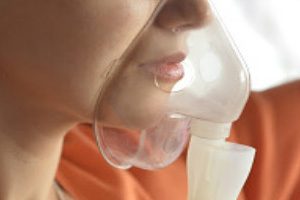 As with asthma patients prescribed an inhaled steroid, Dr. Ruoss recommends that physicians “concretely and objectively” assess whether their COPD patients are benefitting from the drug, and if so, work to prescribe the lowest effective dose if the patient cannot eventually be taken off the drug entirely.